Rustic Gate Farm’s header has a photo of a red gate surrounded by flowers. The Photo Gallery page links to four different photo galleries, one of weddings, senoirs, maternity, and family. Each photo gallery uses a jQuery lightbox to beautifully enlarge the thumbnails for fullscreen viewing. Pioneer Media provides hosting and management services for Rustic Gate Farm. Rustic Gate Farm is a farm in Friendsville, TN. 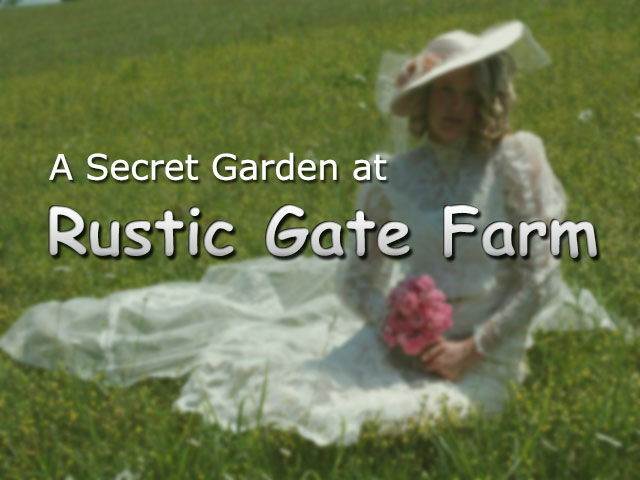 Rustic Gate Farm specializes in outdoor weddings, events, and on-site event photography. All events in The Secret Garden at Rustic Gate Farm are distinguished by a commitment to personalized services and offering professional capabilities to handle major weddings and events, as well as private family celebrations. The secret garden at Rustic Gate Farm provides the perfect bucolic setting for people to gather together to celebrate with family and friends.